CATCH8 is a festival of workshops focused on training and creation, as well as new opportunities for professional dancers. Produced and curated by Luke Murphy, CATCH8 returns following sold out success in 2018. The 2019 workshops take place June 15th-22nd, running in two sessions daily from 9:30am-12:30pm and 1:30pm--4:30pm. 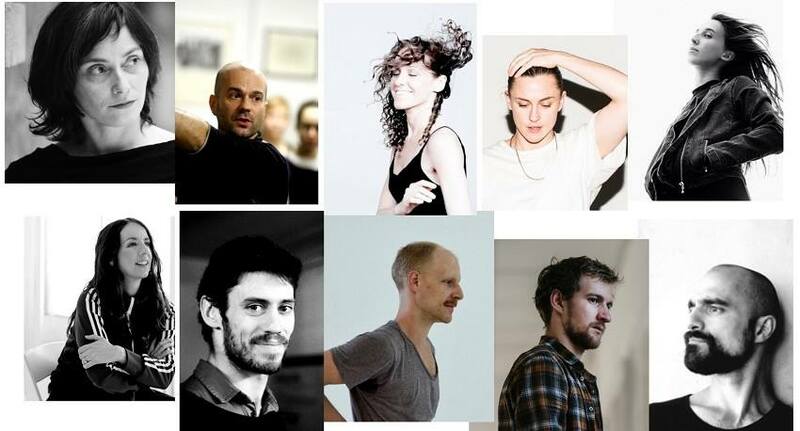 These masterclass workshops will be taught by national and international leading dance professionals: Oona Doherty, Dimitri Jourde, Lali Ayugade, Moritz Ostruschnjak, Ian Garside, Lea Tiribasso, Luke Murphy, Maria Kolegova and Fearghus O’Conchuir, and will take place in Cork City Hall Concert Hall, as part the Cork Midsummer Festival. Discounted accommodation is available at a rate of €25 /night. Open until fully booked. 28 total participants. Early Bird price of €225 available until April 15th / €245 thereafter. Advance booking is essential as capacity is limited. Please note: This is an intensive workshop series for professional dancers or students in the advanced stages of professional training. Prior to booking, please be aware of the Cancellation Policy. The Catalan Lali Ayguadé (1980) graduated from the Institut del Teatre in Barcelona and PARTS in Brussels. She started her career at Publik Eye Company followed by joining Akram Khan Company in 2003 performing in productions. She also also worked with Roberto Olivan (Enclave Dance Company), Hofesh Shechter, Marcos Morau from La Veronal and with the contemporary circus company Baró d’Evel. As a choreographer, she created three short duets: “Incognito” and “Saba” and a duet “De camino al otro” together with the acrobat Julian Sicard. She created two full-length pieces “Kokoro” and “Iu an Mi” which were coproduced by Mercat de les Flors and Temporada and she collaborated together with Joana Gomila for the piece “Sa Mateixa”. In 2018 she was invited by the Theatre Bielefeld to direct and choreograph a piece inspired on the work of Gerhard Bohner. Her latest production she made - HERE- was together with the dancer and choreograpger franco - marroquí Guilhem Chatir. Ian Garside (UK/ES) discovered contemporary dance through classical theatre.cHe completed his vocational training at Laban (UK) & P.A.R.T.S. (BE). Since 2010 he has performed with the likes of Punchdrunk (Shanghai), Liquid Loft/ Chris Haring (Vienna) & the seminal DV8 Physical Theatre (London). Alongside performing, Ian teaches extensively. His passion for pedagogy is fed by the variety of experiences and approaches that people bring to the encounter. His passion for performing comes from a desire to engage people in an experienced process of reception and reflection. Based in Belgium since 2012 Maria started her career in a ballet school in age 5. She was educated as a contemporary dancer in a School of Contemporay Dance with support of Centre of Contemporary Art in Yekaterinburg (Russia). While studing she discovered diﬀerent techniques of dance and movemnet including folk dance, martial arts, yoga and jazz. She won first prize when she performed her contemporaty competition solo by L.Aleksandrova in Seoul (South Korea). After graduation in Theatrical Academy she worked with Russian Ballet Moscow for 6 years. In Moscow she got involved as a dancer with a recognized choreographers including Martin Forsberg, Andrea Boll, Regis Obadia, Paul Selwyn Norton, Nikita Dmitrievsky. She also taught in a school of contemporary dance and began creating her own work. Artistically she is working widely with choreographers, ﬁlm makers, photographer Wim Vandekeybus and is a member of his company Ultima Vez since 2012. During these years she was part of the revival What the Body Does not Remember (2013) in addition to and had experience NewZwart and Spiritual Unity (live concert) she has also performed as a dancer Speak low if you speak love (2015); Mockumentary of Contemporary Seviour (2017) and from 2018 on dances in a new piece by Wim Vandekeybus/Ultima Vez Go ﬁgure out yourself. She is currently involved to a new creation with Wim Vandekeybus/Ultima Vez TrapTown. As well as an extensive amount of pedagogical activities through movement: workshops, company classes,assisting and training program across Europe and Russia. Performer with Ultima Vez (2014-2017) touring internationally in productions Booty Looting, Spiritual Unity and In Spite of Wishing and Wanting Punchdrunk (2009-2017), as an Original Cast member of Sleep No More in New York City and Shanghai as well as productions of Sleep No More in Boston and The Drowned Man in London. Additional company experience includes Kate Weare Company (2011-2014), Pavel Zustiak Palissimo Company (2011-2013), Martha Clarke (2010-2011), Erik Hawkins Dance 2008-2010 and projects with, John Kelly, John Scott, Janis Brenner, Heidi Latsky, Sean Curran, Jonah Bokaer and Bill T Jones/ Arnie Zane Dance Company. Luke is Artistic Director of Attic Projects- based between Ireland and New York. He has created five evening length works— Drenched (2012), Icarus (2013) Your Own Man/Mad Notions (2015), On Triumph and Trauma (2016), The Dust We Raised (2017)— performing across Ireland, UK and US. Luke is a DanceIreland Associate Artist for 2018. 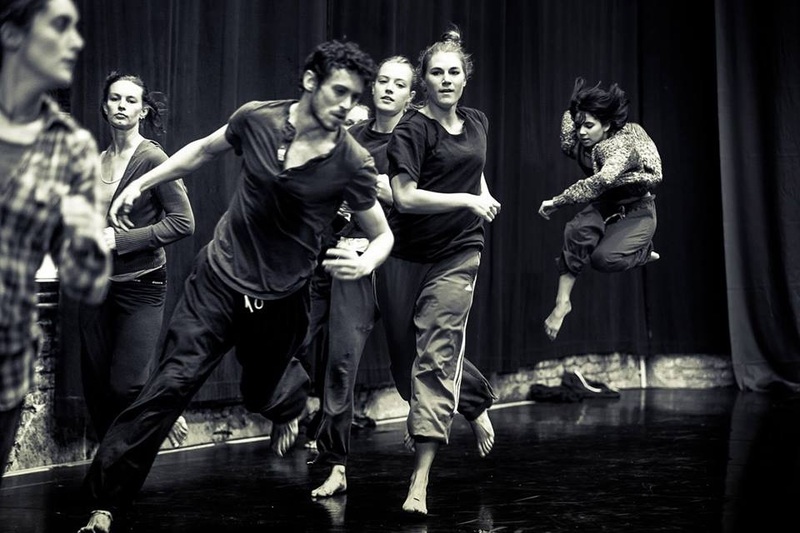 The Catch8 Workshop series is an initiative by Attic Projects in collaboration with Cork Midsummer Festival, Cork Arts Office, and DanceIreland.